How do other cultures celebrate Halloween? Renowned for spooky sights and horrible haunts, Halloween is a worldwide event. Each culture and country celebrates the dead differently, from walking the streets of America in fancy dress to lighting lanterns on the river in Japan. Read on to see where you can see these wonders for yourself. 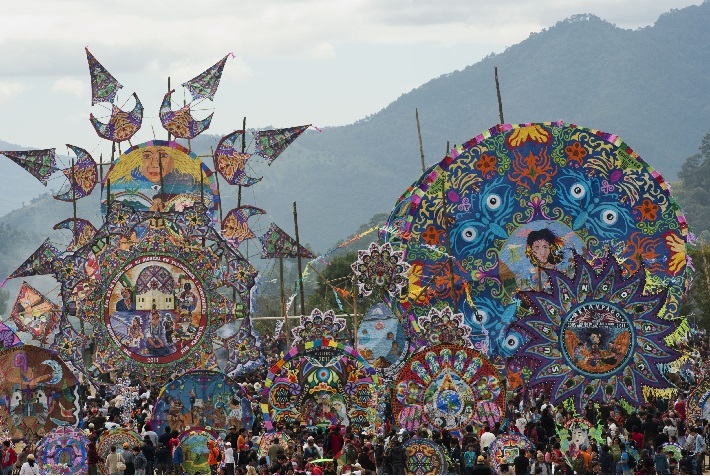 Taking place in the first and second of November each year, Barriletes Gigantes is a colourful kite festival flying over the skies of Guatemala. Some kites measure more than 40ft in diameter, are hand-painted by locals and flown over the graves of family members while flowers are scattered on the ground below. The kites depict images of flowers, animals and geometric patterns found in Mayan cultures. As a tradition that is more than 3,000 years old, this festival is colourful and celebratory. It is believed the kites reach out and talk to the spirits of the deceased, and the higher your kite flies, the closer these messages are to heaven. Fancy dress, trick-or-treating and pumpkin carving are all celebrated across America to see in Halloween. Though this celebration didn’t make it to across the Atlantic until the 19th Century, America still celebrates with mass festivities. Marking the beginning of fall, locals pick pumpkins and carve them into the infamous jack-o-lanterns before decorating windows and doorways with the glowing faces. 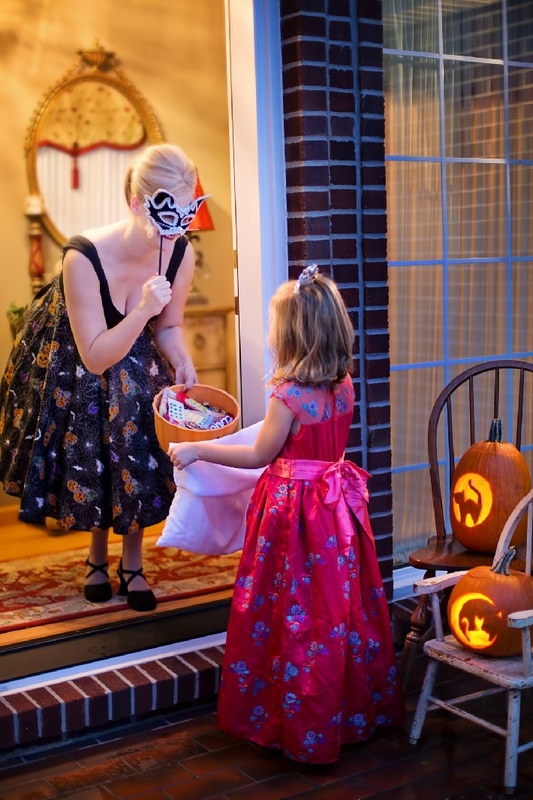 Youngsters, usually supervised by parents, are guided along nearby streets dressed as ghouls, vampires and witches to spook the neighbours while trick-or-treating: gathering sweets and small gifts to enjoy. 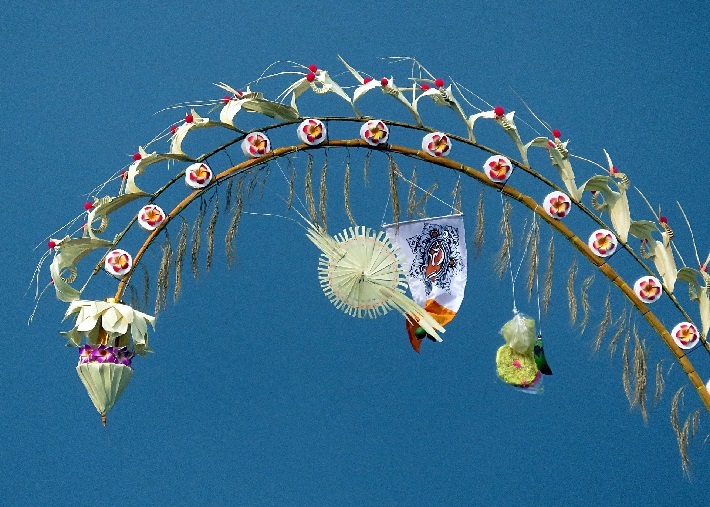 This Japanese tradition is typically celebrated across the country in mid-August: a lively and entertaining event that is an absolute must-see. During the festival, people believe their ancestors’ spirits return home, making it an important family gathering time for residents. 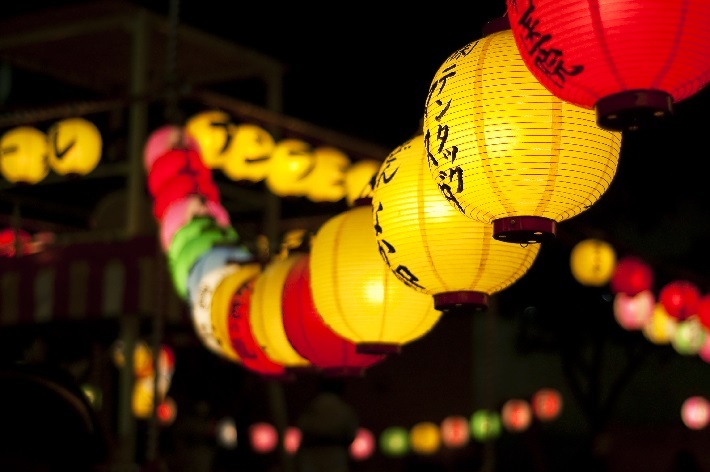 The Japanese clean their homes and hang chochin lanterns painted with family crests, to call their ancestors back home. A variety of food offerings and flowers are placed in front of a butsudan (Buddhist altar), and the bon odori (folk dance) is widely practised with Japanese taiko drums sounding out the rhythm. On the last day of the festival, people send their ancestors back to the grave, undertaking toro nagashi (floating lanterns), where lanterns are lit and sent floating down a river to the ocean. Galungan is a Balinese celebration lasting for 10 days, and is considered one of the more important events in Bali. During this period, the festival symbolises the victory of good (Dharma) over evil (Adharma) and encourages locals to show their gratitude to their creator and ancestors. The island decorates bamboo poles with fruit, coconut leaves and flowers, before setting these up outside every residence. In the days before Galungan, locals prepare food and make jaja – coloured cakes made of fried rice dough. Sacrificial animals are also slaughtered in the temples and, on the day of Galungan, devotees pray and make their offerings to the spirits. Gai Jatra, translated as ‘cow festival’, is a widely celebrated event throughout Nepal, having been in place since medieval times. Falling around August to September and lasting for eight days, the festival gathers the community in the Kathmandu Valley and celebrates those who have passed over throughout the year. Families who have lost someone participate in the procession, leading a cow, as it is believed to help the deceased’s journey to heaven. 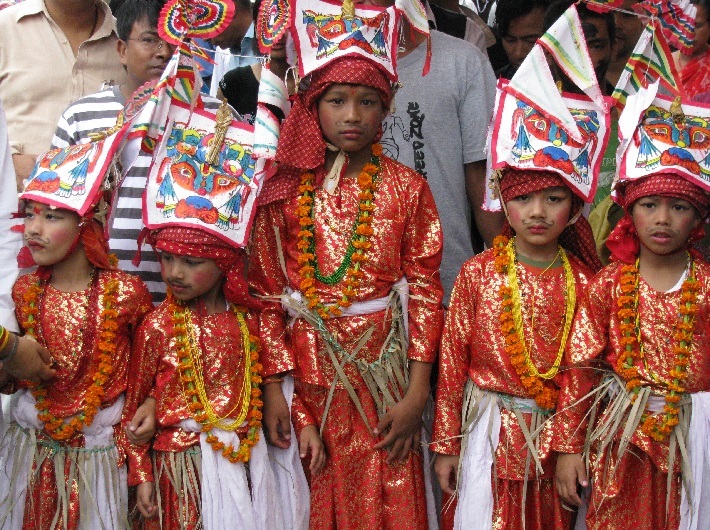 Gai Jatra is a happy carnival, commemorating the dead over the last 12-months with traditional Nepalese singing, stick dancing and comedy shows. Participants paint their faces and hand sweets, bread and money to those walking with the cows as they pass. 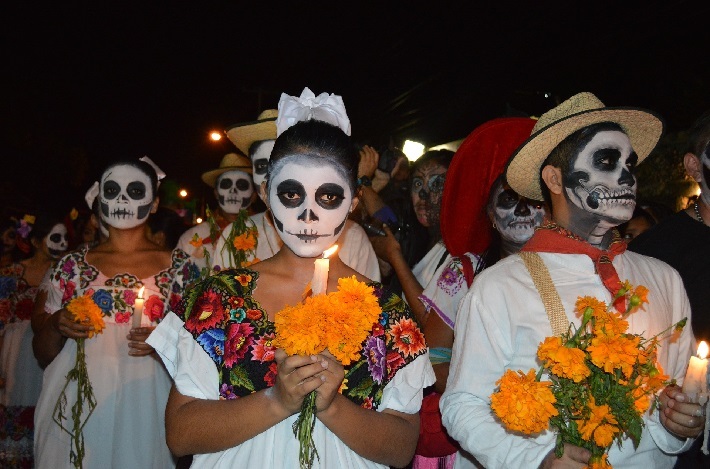 In Mexico, October 31st is believed to be the day spirits of the deceased return to Earth, kick-starting a three-day festival known as the Day of the Dead, or El Dia de Los Muertos. The prolific sugar skull imagery around this period is a result of José Guadalupe Prosada’s print of La Calavera Catrina, which is inspiration for the skull-shaped sweets and face paint featured during this festival. Puppet shows and dramatic parades are take place on stage, in homes and in cemeteries, with photos of loved ones, flowers and candles decorating Mexico. Costumed locals parade the streets in skeleton or ghost costumes. With such a diverse range of celebrations and festivals, Halloween is a favourite festival across the world. 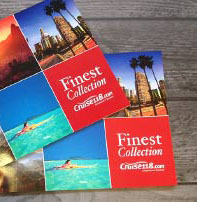 Have you experienced any of these events during a cruise? Let us know in the comment box below!